ICC: Philippines Withdrawal Won't Affect Preliminary Probe - Integration Through Media ....! 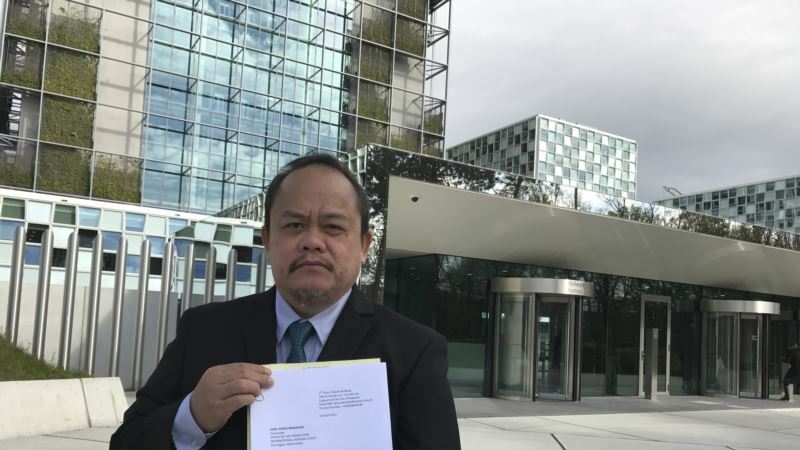 (VOA): The Philippines' decision to leave the International Criminal Court will not derail an ongoing preliminary probe into possible crimes committed during Manila's war on drugs, the court said Tuesday in its first reaction to the Asian nation's withdrawal. Last month, ICC prosecutor Fatou Bensouda, opened a preliminary examination into a complaint by a Filipino lawyer of suspected extrajudicial killings during President Rodrigo Duterte's anti-drug campaign, which could amount to crimes against humanity. In response, Duterte announced last week he was withdrawing the Philippine ratification of the Rome Statute, the treaty which created the ICC. Such a withdrawal comes into effect after a year. Although the Philippine Senate ratified the Rome Statute, Duterte said the treaty was never enforced in the country because it was not published in the government journal as required by law. On Tuesday, Duterte said in Manila he would question the authority of anybody who would travel to the Philippines to investigate in connection with the probe under the ICC. “What's your power … the treaty? The treaty was not published. When it is not published, it is as if there is no law at all,” Duterte said in a speech. The court said in a statement it regretted Duterte's move, but stressed it would not affect Bensouda's preliminary examination. It is citing a decision in another case which said that the ICC retains jurisdiction over crimes committed when a country was an ICC member even after withdrawal. More than 4,000 mostly poor drug suspects have been killed under Duterte's drug crackdown, according to the national police. Human rights groups have reported higher death tolls. Duterte argues that the killings do not amount to crimes against humanity, genocide or similar atrocities. Bensouda's preliminary examination will assess whether there is enough evidence to open a full-scale investigation in the Philippines that could lead to charges against those deemed most responsible for crimes.